Getting engaged? Go on! There's NUTTIN to it. 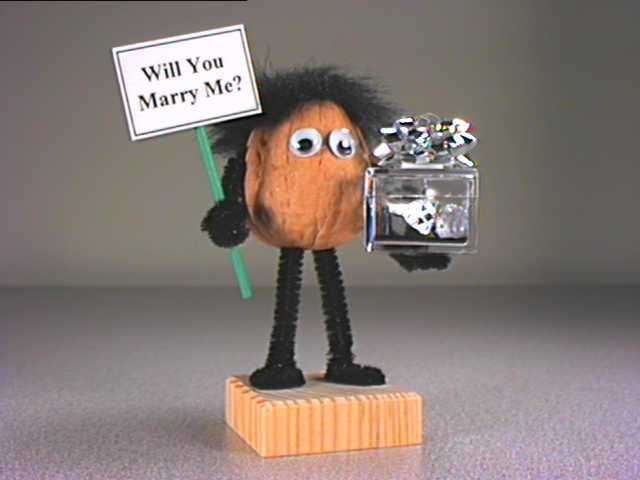 You can put your ring in the box and let this little fella do it for you. Artificial ring included. 3/4" box opens up.